PHP is the most popular server-side language used to build dynamic websites, and though it is not especially difficult to use, non-programmers often find it intimidating. You will learn everything from the basics to more advanced PHP programming. This course is updated regularly with new content so even if you get through the entire course, there will always be more the next time you visit this course. Millions of websites and applications use PHP. You can find a job anywhere or even work on your own, online and in places like freelancer. You can definitely make a substantial income once you learn it. 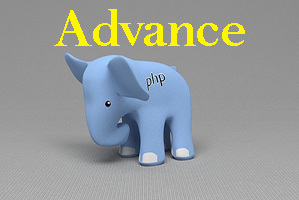 You will learn Advance topic of PHP. You will be able to develop web application, work with Databases and much more. In this Free Online Course we will learn PHP Programming which is very popular Server Side Programming Language. We will learn how to create a website or Web Application after doing this online course. Only 7 lectures are there... Where are others ?